It’s Shark Week! For those who have been off planet the last 27 years, Shark Week is supposed to be a week of educational documentaries about sharks on the Discovery Channel. For a long time, Shark Week was nothing but factual shows about the fascinating world of sharks. Now? Not so much. It didn’t take much research for me to find that Discovery and Shark Week lied to scientists to get them to appear in their "documentaries" and edited their interviews to make it sound like the scientist were hunting fairy tale animals like Monster Hammerhead, Zombie Shark, and Sharkaggeddon.Good-bye science! Hello ratings! The cat faced Roomba shark quietly lays in wait for the right moment to launch a fearsome attack on its prey. Shark Fact: This shark is a little OCD when it comes to cleaning. The dreaded Sharknado – A tornado scooping sharks out of the sea and onto dry land where the sharks devour anyone in their way is the stuff of nightmares. Shark Fact: These sharks not only survive being dumped on the pavement and being out of water but they are so mad about it, nothing will stop them from eating you. A bar stool or a baseball bat is you best defense. How to Survive a Sharknado and Other Unnatural Disasters: Fight Back When Monsters and Mother Nature Attack. This is the book they don't want you to read! Shark Fact: The survival guide our Sharknado heroes wrote and were promoting in Sharknado 2: The Other One is a real book you can actually buy. 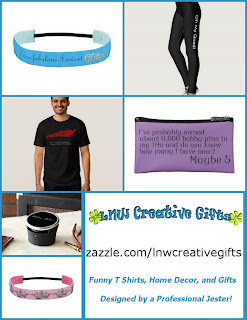 Buy one for favorite marine biologist! They don't teach this stuff in school. 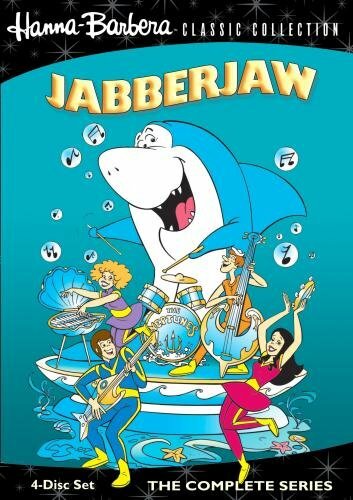 Jabberjaw – According to Wikipedia this species is the Rodney Dangerfield of the shark world because does not get any respect. Shark Fact: Sharks play drums and can walk on land. The fearsome mini Jell-O cup shark infiltrates your home to devour you! Researchers say the only way to save yourself is to clean your plate and eat these notorious predators before they eat you. 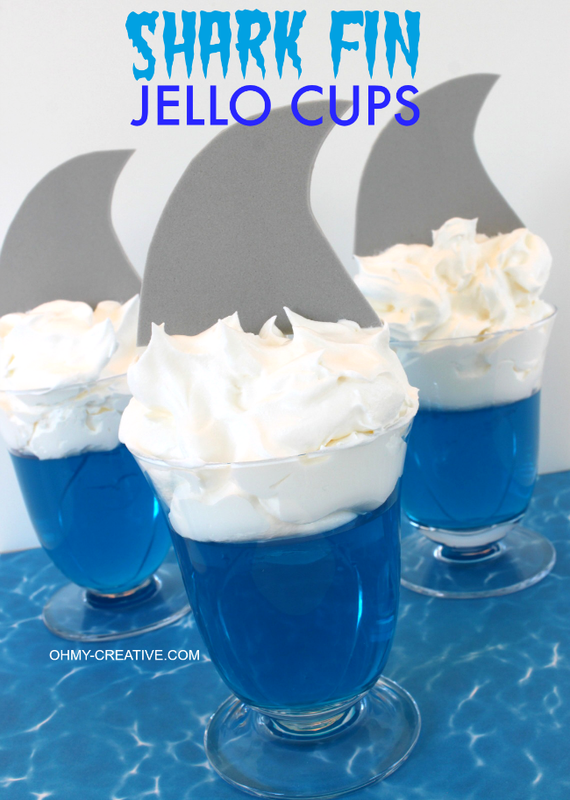 Shark Fact: Sharks also like to swim in Jell-O made with natural colors and ingredients. 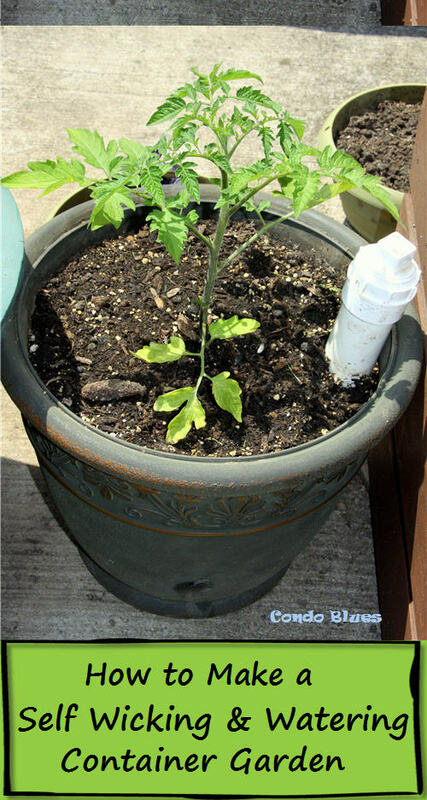 Learn how to make them on Oh My! Creative. Mega Shark Vs. Giant Octopus When provoked the mega shark has been known to eat the Golden Gate Bridge as a source of iron for its diet. Shark Fact: Mega Sharks can jump up to 10 thousand feet attack airplanes. Now you know why your flight is never one time. Jaws -This treacherous great white shark only looks like a fake mechanistically shark prone to breakdowns but it is real. Shark Fact: This danger of the deep vacationed at Universal Studios where it tried to eat visitors on a daily basis for years. To save future visitors from shark attacks, Wizards came in with a flick and a swish and built Diagon Ally over the lagoon. All that remains of Jaws is a tribute in a shop window. True story. Bruce the Shark from Finding Nemo – This great white thrives in support groups. 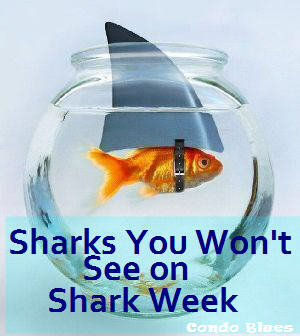 It's motto is, “fish are friends, not food!” which is why you will never see it on Shark Week. It doesn't go after or eat anyone in a bloody and vengeful way. 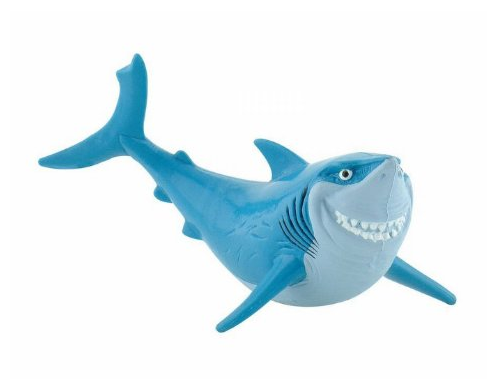 Shark Fact: Pixar named their Bruce after the nickname the crew gave the mechanical shark in Jaws. True story. 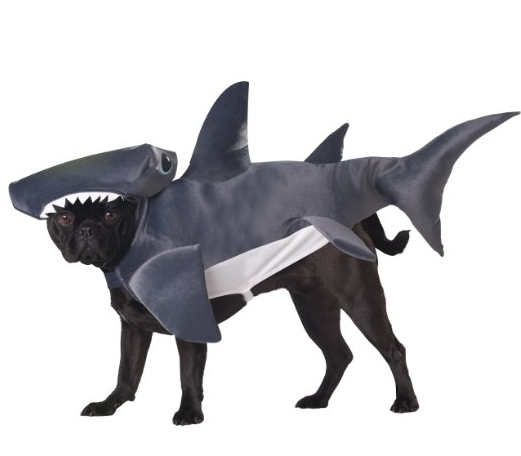 This terrifying Hammerhead Dog Shark is easy to sneak up on and surprise. Shark Fact: This shark can’t hold its licker. The Musical Jimmy Buffet Fins Shark – is only known to attack margarita stands and blown out flip flops. Shark Fact: This shark is a bad boyfriend. Going to a Jimmy Buffet concert is like a going to a beach party. Bonus Parrothead points if you see him perform Fins in Cincinnati. Day. Made. Left Shark - This shark incites panic with a poor sense of rhythm and forgetting choreography. Shark Fact: Not only do left sharks enjoy music, but they are also great fans of football. 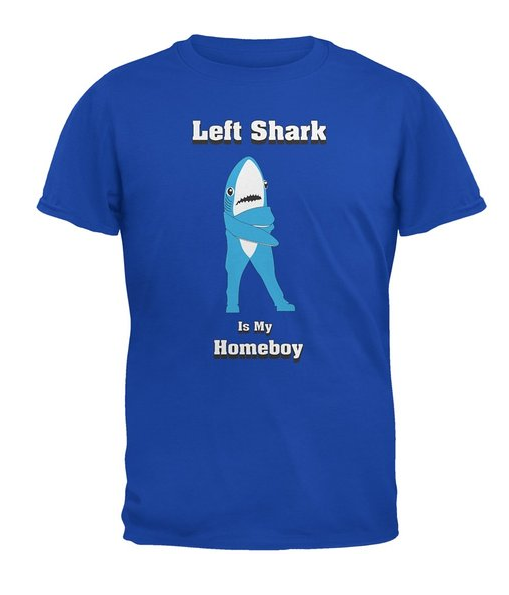 You can buy the Left Shark shirt from Amazon. Jaws 2 – Just when you thought it was safe to go back in the ocean, the alarming Sequel Shark follows closely behind a great while shark and tries to steal its thunder. Shark Fact: Sharks can sink a helicopter. You know, from the ocean. Jaws 3-D – is also know as the Oh No Not Another One Please Make It Stop shark. This shark is ridiculously big, ridiculously ruthless, and sorry he was ever born. Shark Fact: Sharks can smash through glass walls at will because they are the size of a sea monster. So don’t make them mad, OK? What type of shark would you like to see on Shark Week?